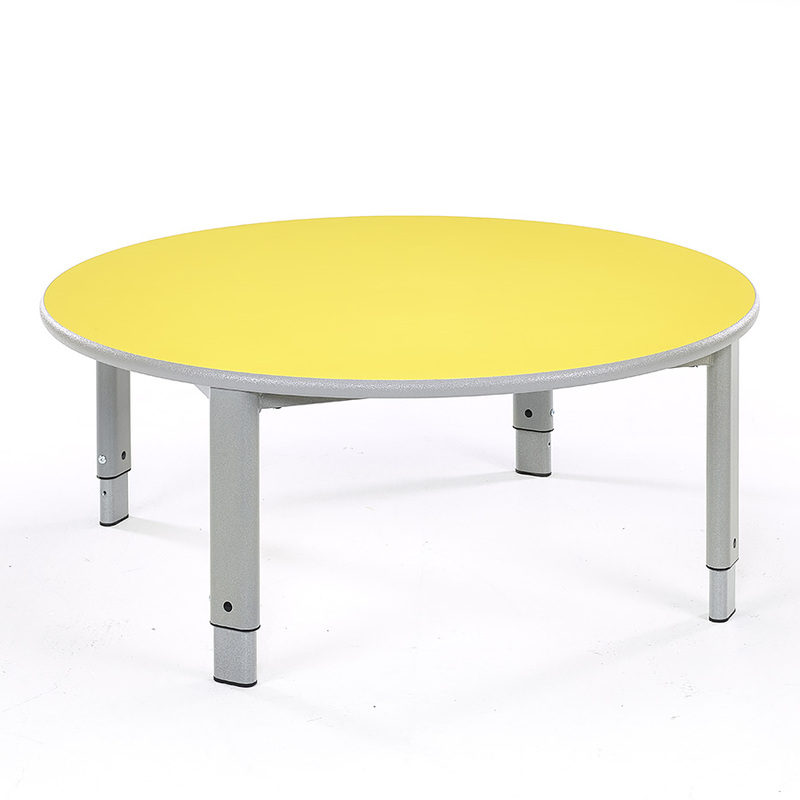 The Start Right height adjustable circular table is supplied in packs of 2 and is ideal for use with in schools, pre-schools and nurseries. 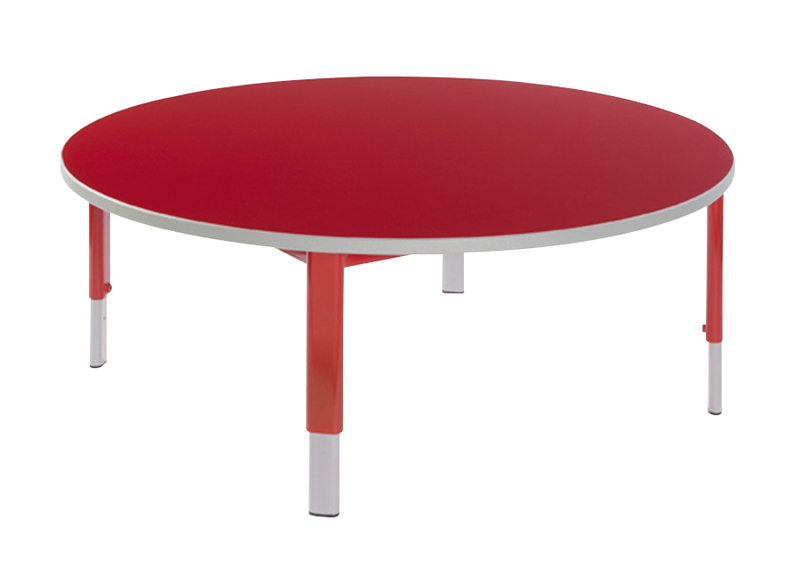 Each table features a 1200mm diameter table top, which is available in 7 vibrant colours, with colour co-ordinated legs. The steel oval shaped table legs are height adjustable from 400mm to 640mm and feature metal inserts which allow you to easily select the required height. 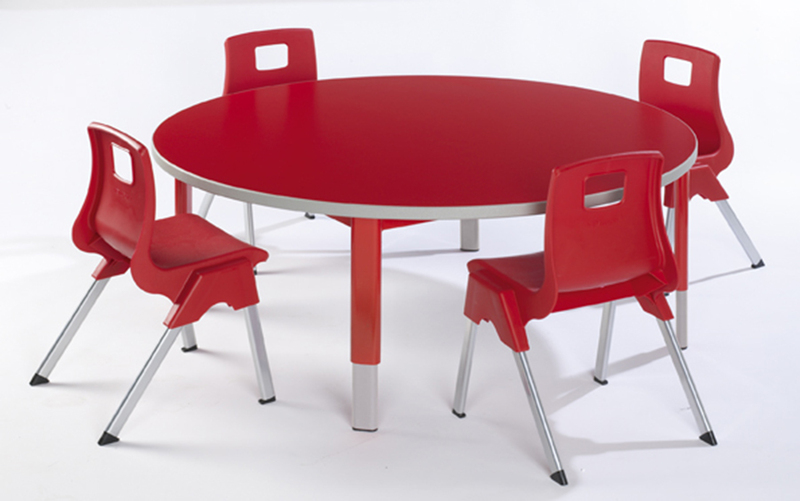 This height difference is suitable for children aged 2-11 years so these tables are perfect for nurseries or schools where tables are moved between year groups. The 25mm thick, durable table top is finished with a resilient textured PU spray edge in light grey. Height adjustable to 5 key positions with simple Allen key adjustment (Allen key supplied). 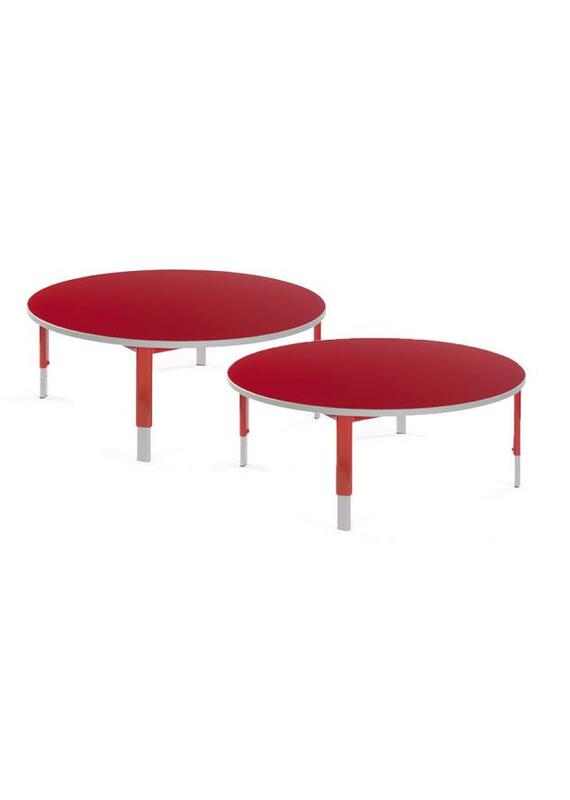 The Start Right circular tables are supplied in a pack of two and come with a 10 year guarantee. Our Start Right range includes Trapezoidal, Rectangular and Semi-Circular tables. These can be used together to create different shaped table groups in classrooms.